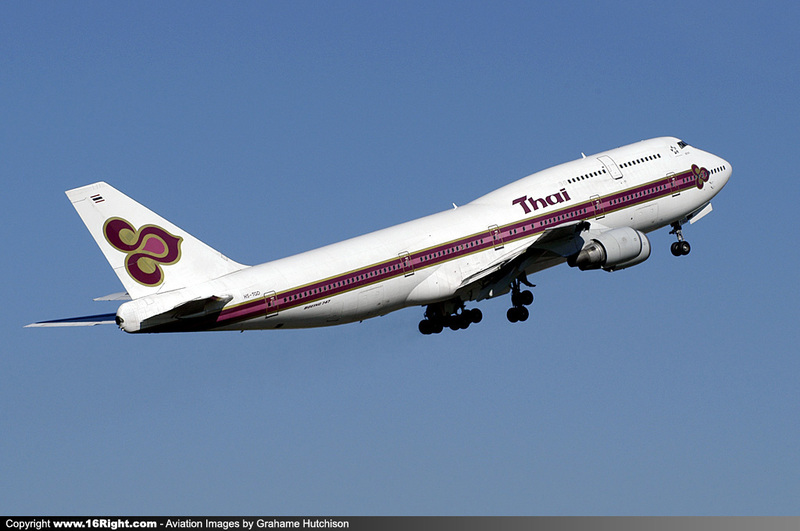 Formed in 1960 from a joint venture by Scandinavian Airlines (SAS) and the domestic Thai Airways Company, the aim was to create an international arm for the domestic carrier. 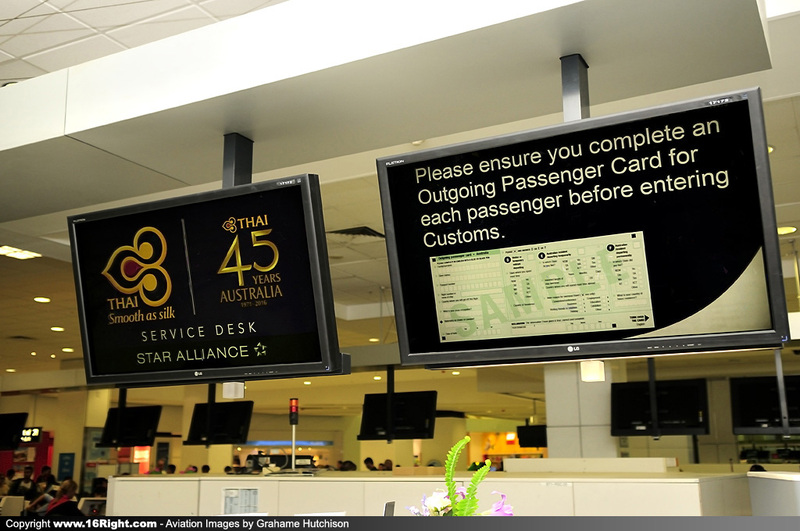 In the early years SAS provided much of the experttise to run the airline, however gradually Thai Nationals assumed control of all aspects of the new business. 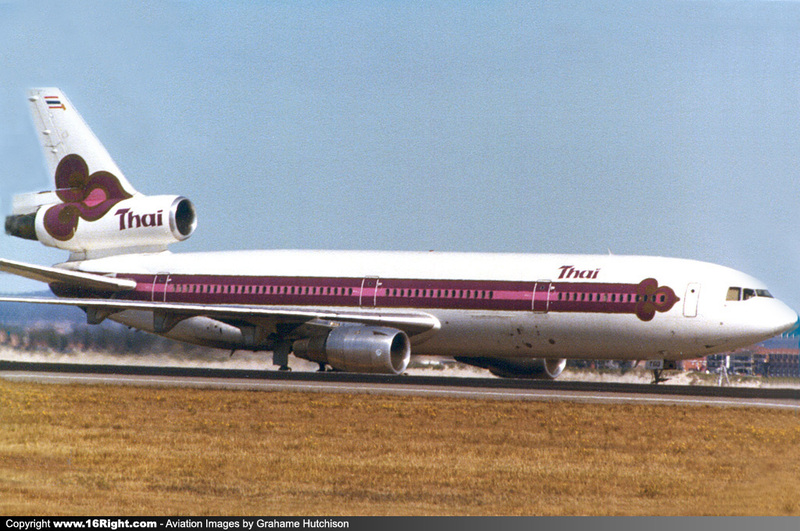 The Bangkok to Sydney service was to be the airlines first intercontinental route, and was launched in 1971 using the Douglas DC-8 leased from SAS. 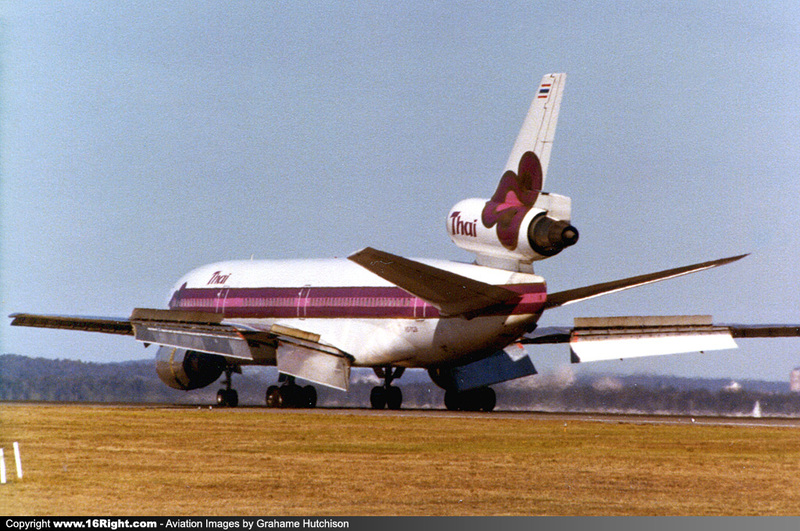 Services to Europe started the following year, and with the acquisition of Douglas DC-10 aircraft in the late 1970s, services to North America began. 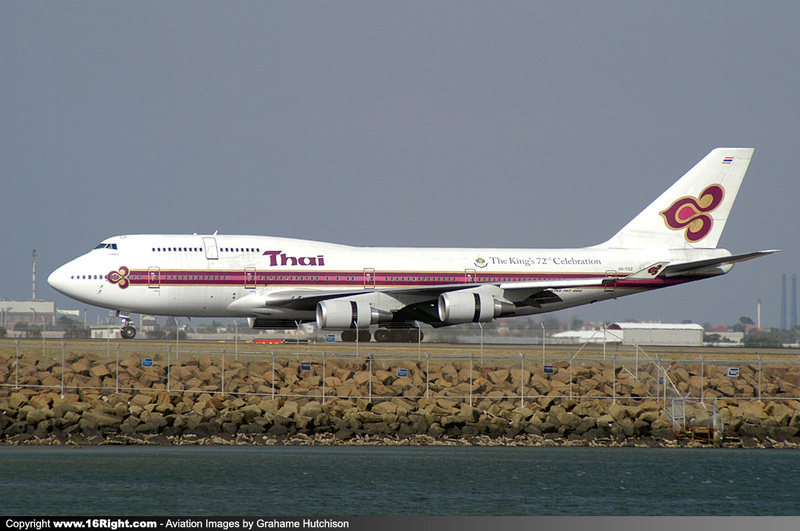 Thai also added the Boeing B747-200 to their fleet, starting several decades of service to Sydney by this aircraft type. 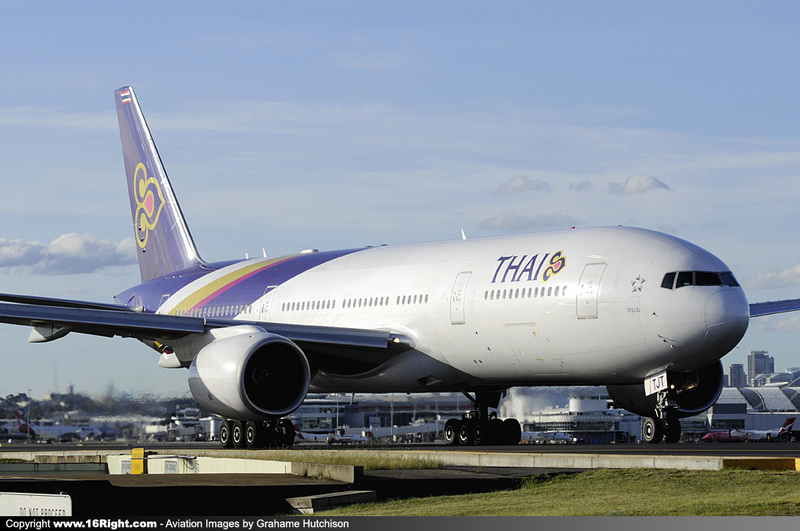 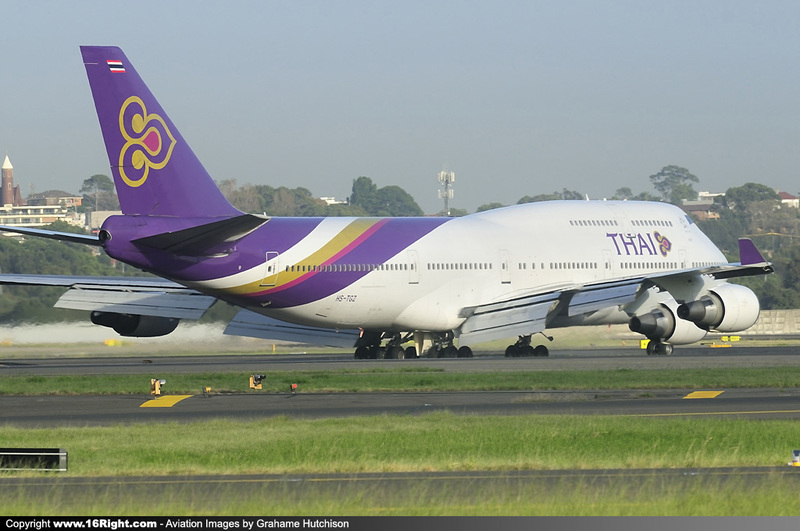 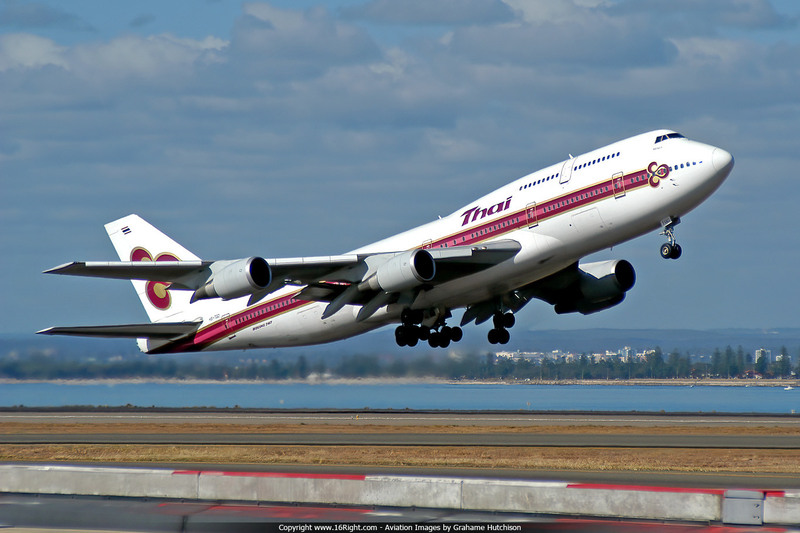 Although several other aircraft types have been used on this route, Thai are still currently operating the Boeing B747-400 version of the aircraft, in this the start of their 46th year of operations to Sydney. 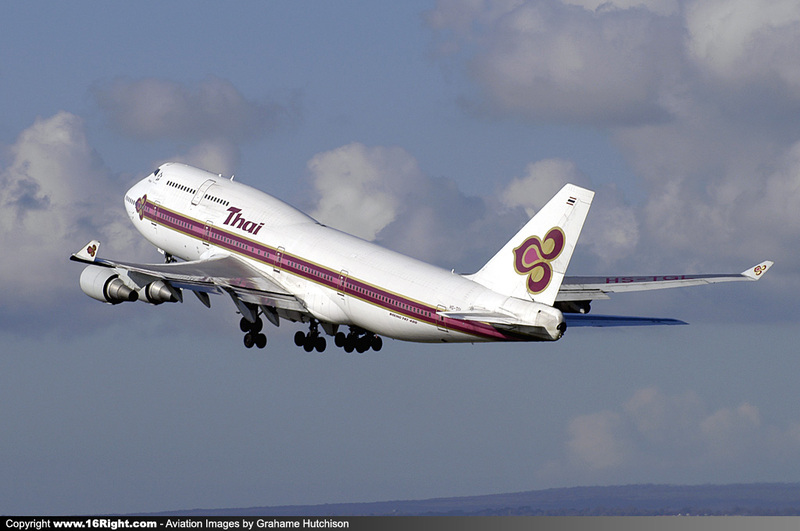 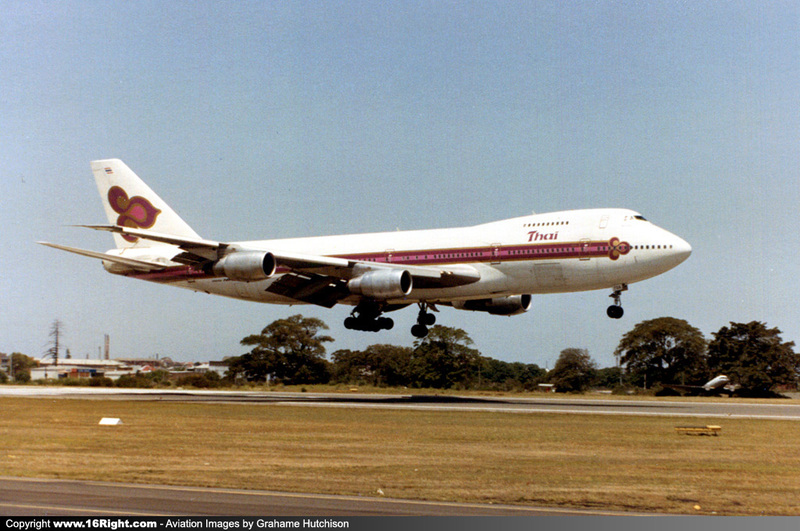 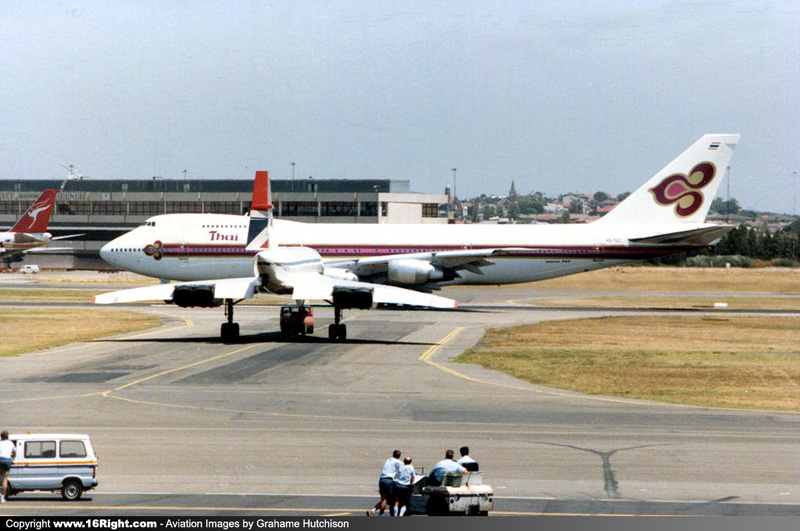 When the Boeing B747-400 model became available in 1989, Thai purchased this much improved type, and began operations to Sydney. 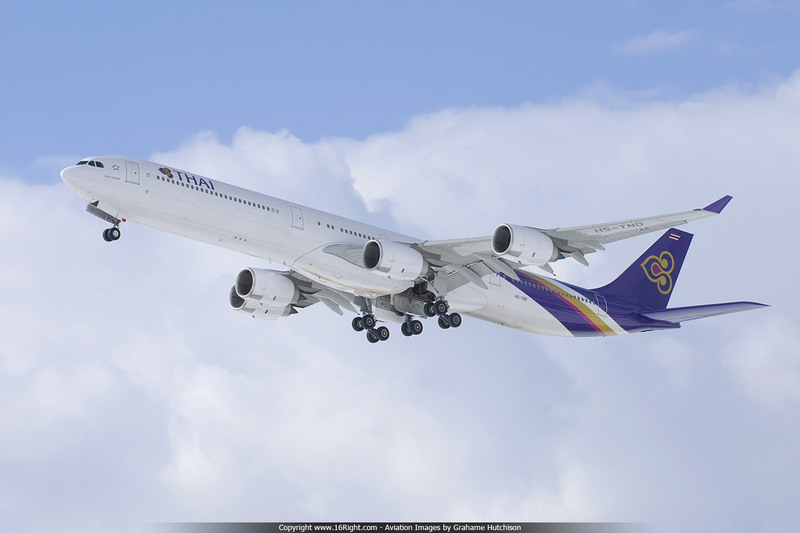 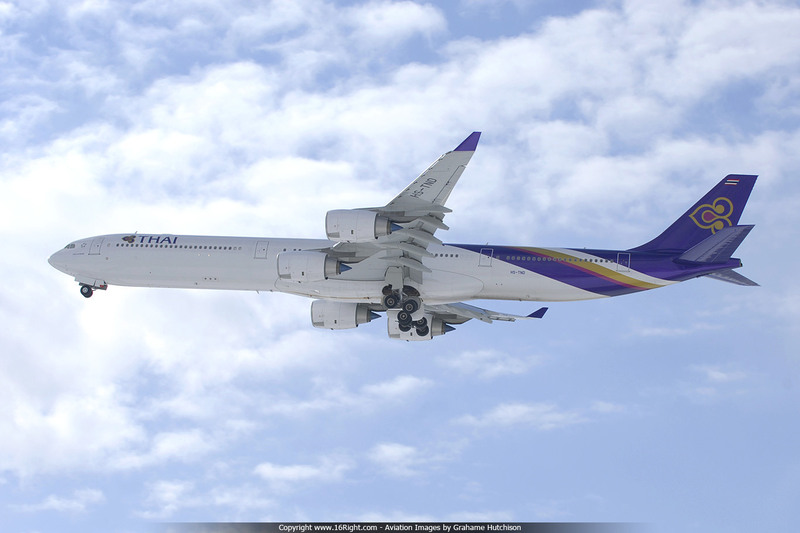 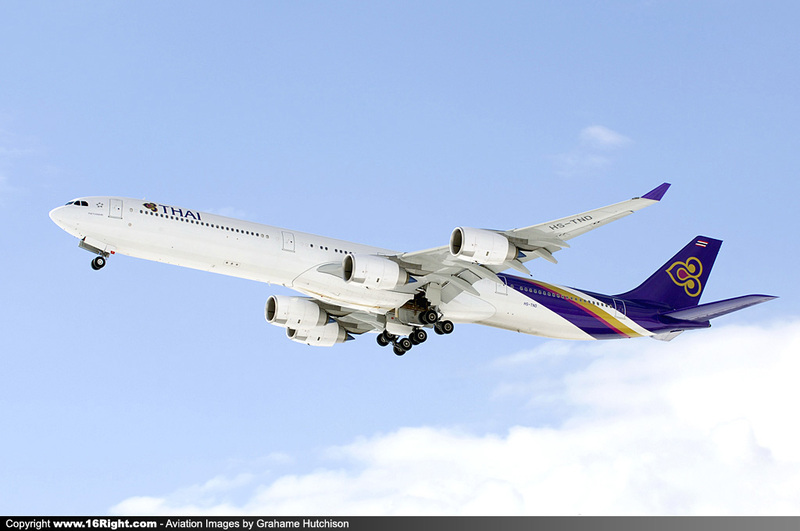 In 2005 Thai added the Airbus A340-500 and A340-600 to their fleet, and commenced a non-stop service from Bangkok to New York, and later to Los Angeles. 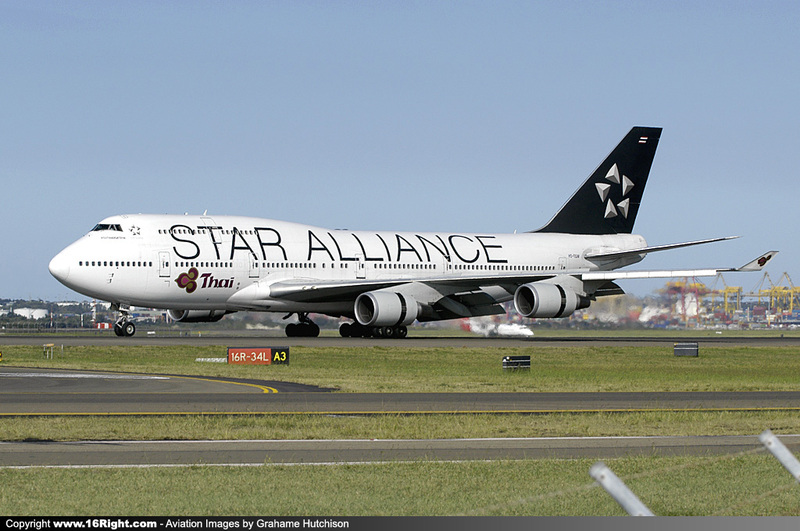 As with other airlines, high world fuel prices saw this very long non-stop service to New York end in July 2008, and the Los Angeles service reverted to one stop via Seoul in May 2012. 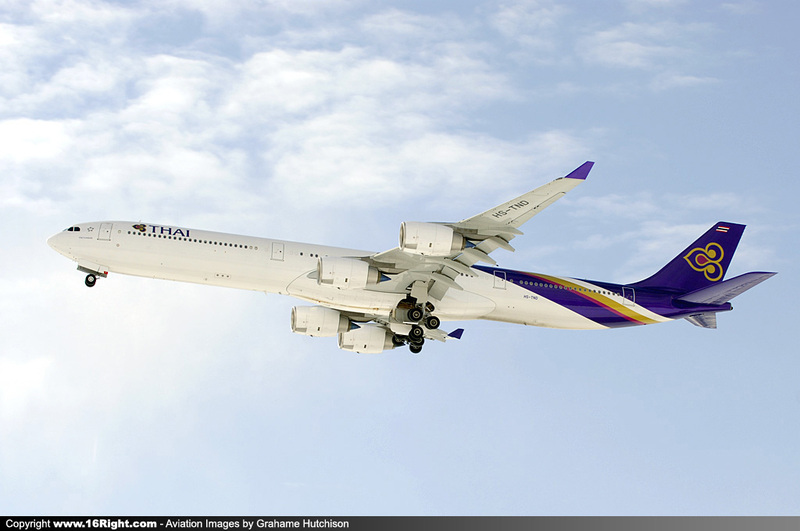 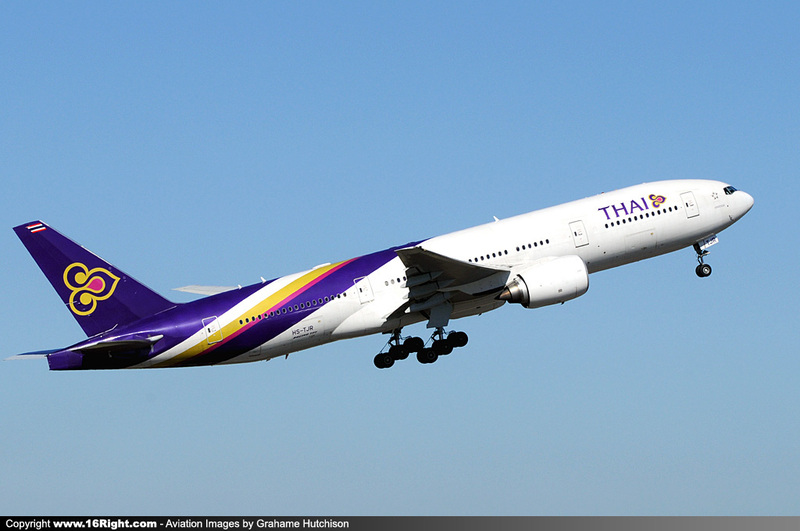 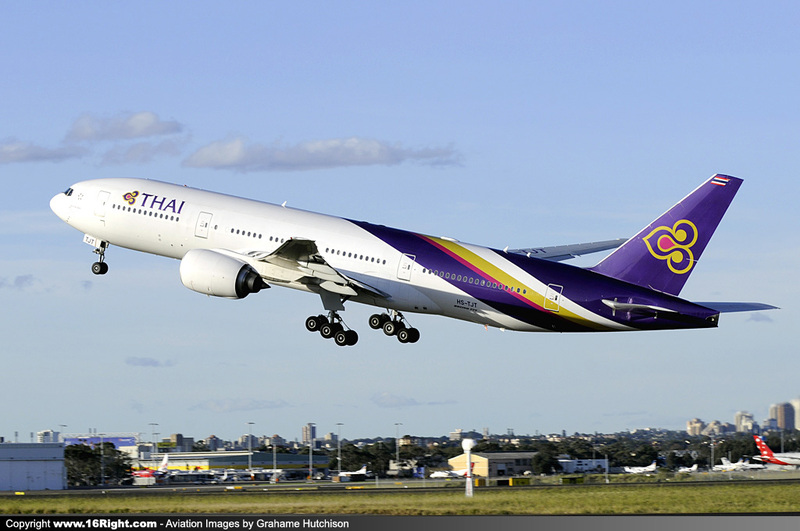 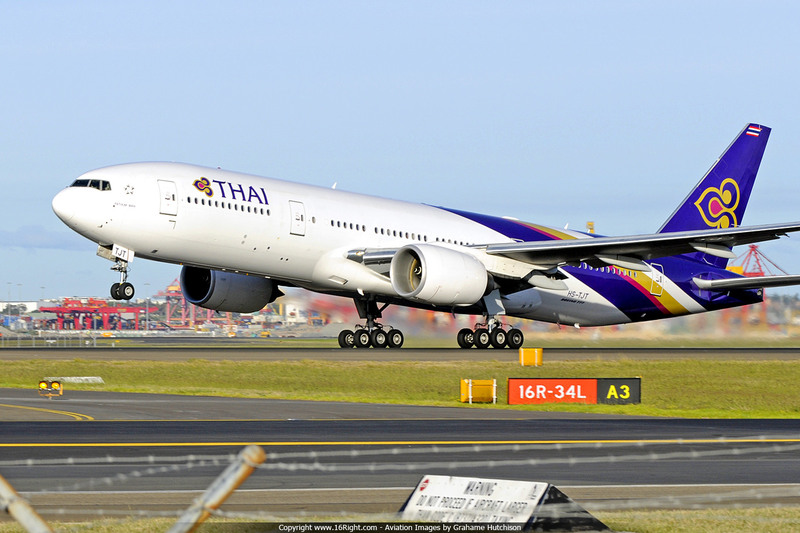 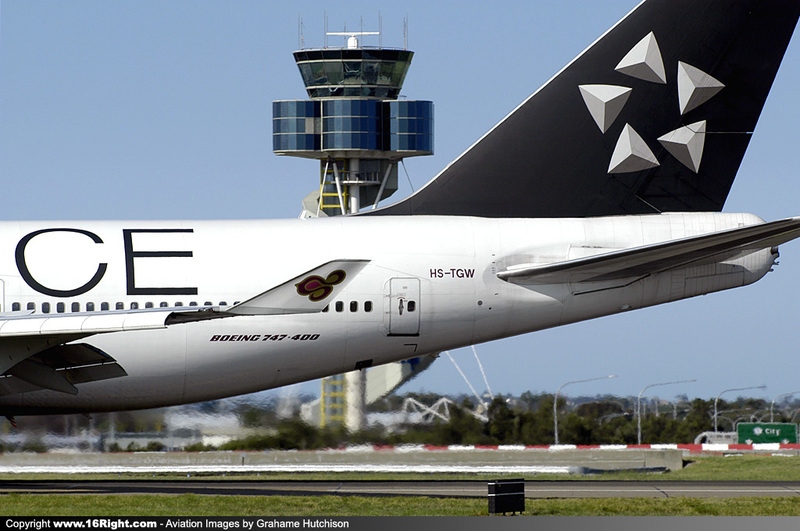 Thai also operated the Airbus A340 on the Bangkok to Sydney route. 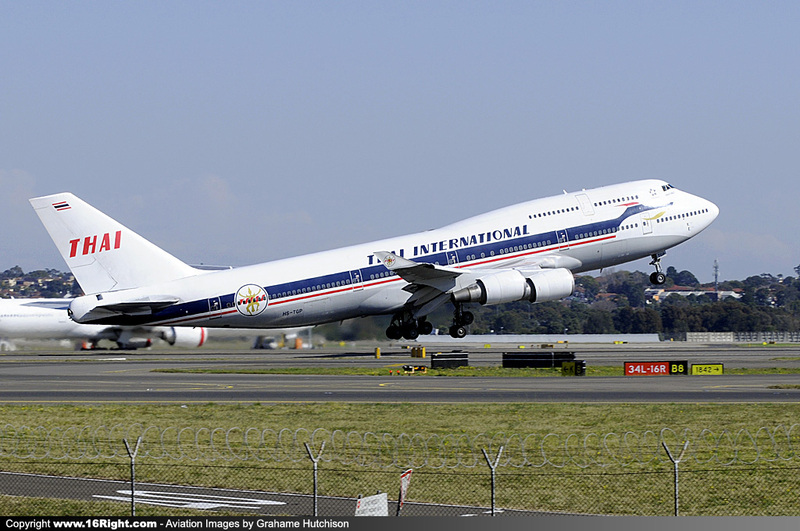 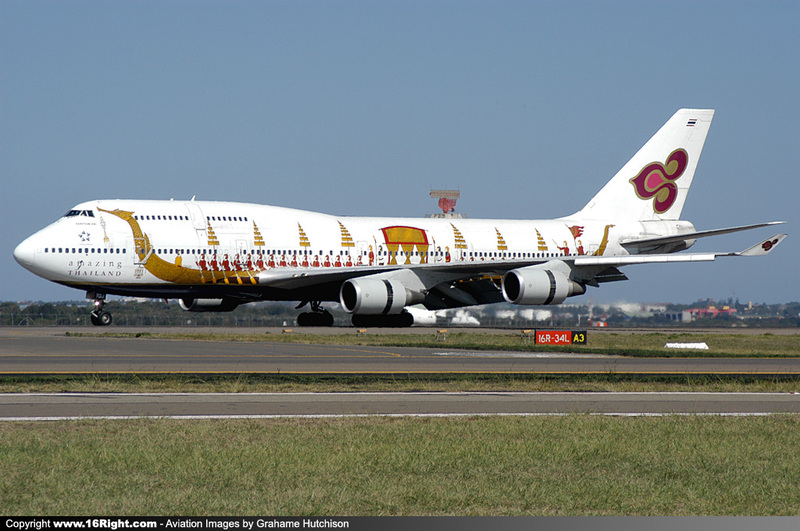 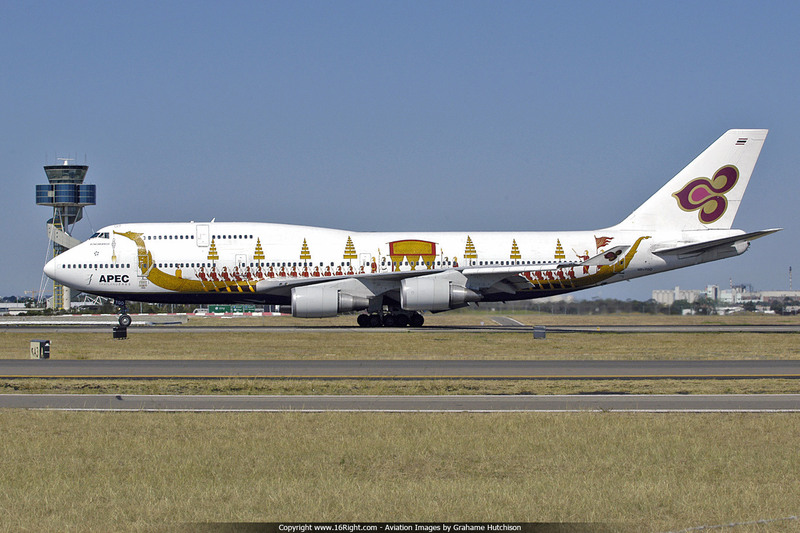 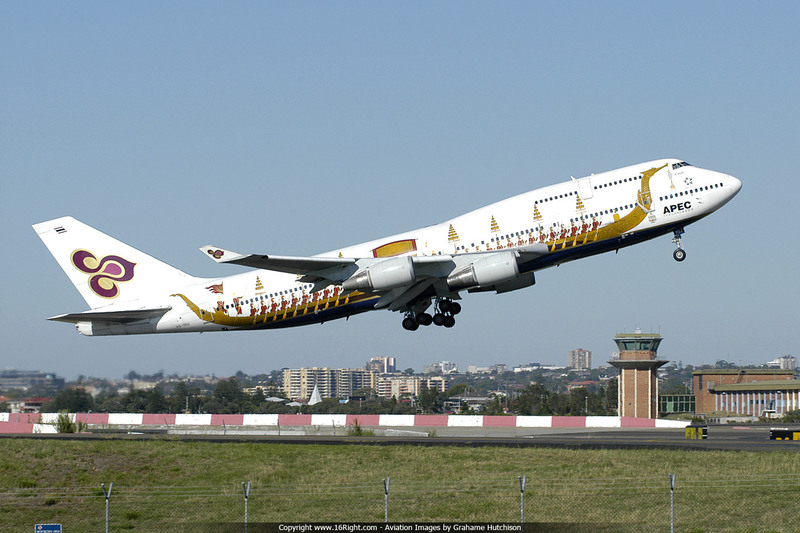 Throughout the past 45 years, memorable Special Thai Liveries include "Retro Thai International", "Amazing Thailand Royal Barge", "Star Alliance", "The Kings 72nd Celebration", "Apec Thailand 2003" & "Apec Royal Barge". 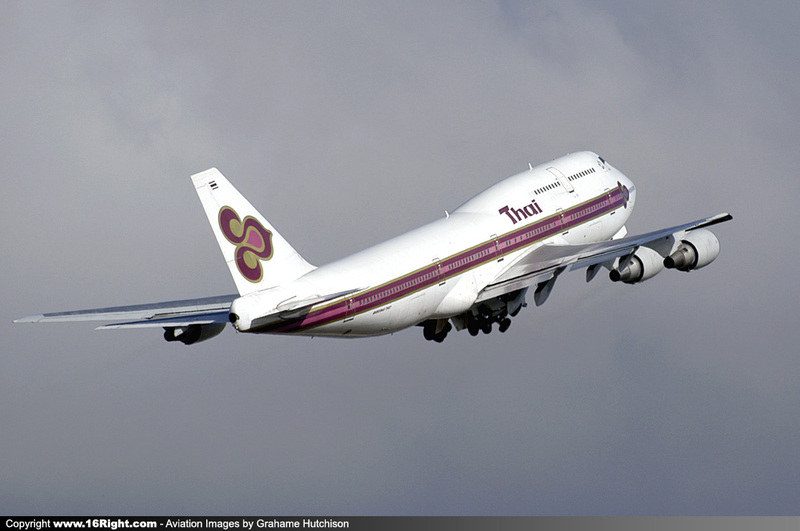 Passengers for Thai Airways B744 VH-TGZ return service to Bangkok this morning, were greeted with Thai Airways coloured balloons, flowers, and Check-In monitors recognizing the 45 Years of operation at Sydney Airport.